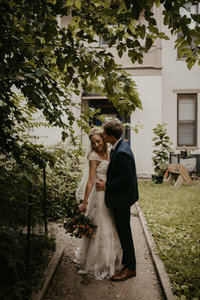 When Nina and Dylan first asked us to photograph their wedding in Cincinnati, we were overjoyed and completely ecstatic. We’d never been to Ohio before and traveling for weddings is one of our absolute favorite things. It meant 10 hours in a car one way TOGETHER with no kids. And when you’re 30 years old with 3 ages 6 and under, those 10 hours of quiet alone time are enough to make you skip the plane ride that can get you there much faster and set you on your way. Not only was the trip a wonderful time for Rusty and I and really, our first time away since adding another baby to our family, we loved Nina and Dylan and couldn’t wait to spend the day with them. One of our dear friends was also in the wedding party, so we got to meet up with him afterwards for a fun desert in a swanky restaurant downtown Cincinnati. We truly had the best time. 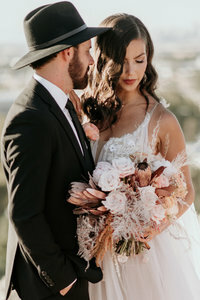 Nina and Dylan were married in a place that was incredibly special to them. They chose to be married at the Sanctuary, which was built in the 1800s. 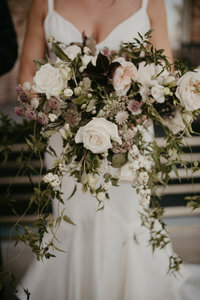 Now, part of Cincinnati’s Lower Price Hill District, the venue services couples getting married as well as other events and all of the proceeds help provide a place that gives back to the community. From gardens that service the people living in Lower Price Hill to serving left over food from events to the community, The Sanctuary’s determination to providing care is obvious with all the love they pour into the people of Lower Price Hill and all the creative ways they fund raise and serve. 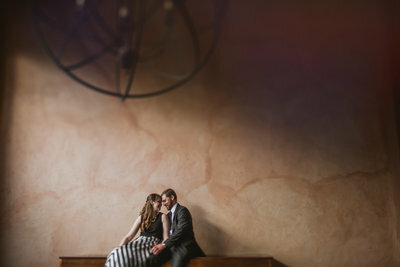 Nina and Dylan, thank you so much for asking us to photograph your beautiful day. We were beyond honored and would do it all over again with you if we could! We can’t wait to see what’s in store for you guys next!